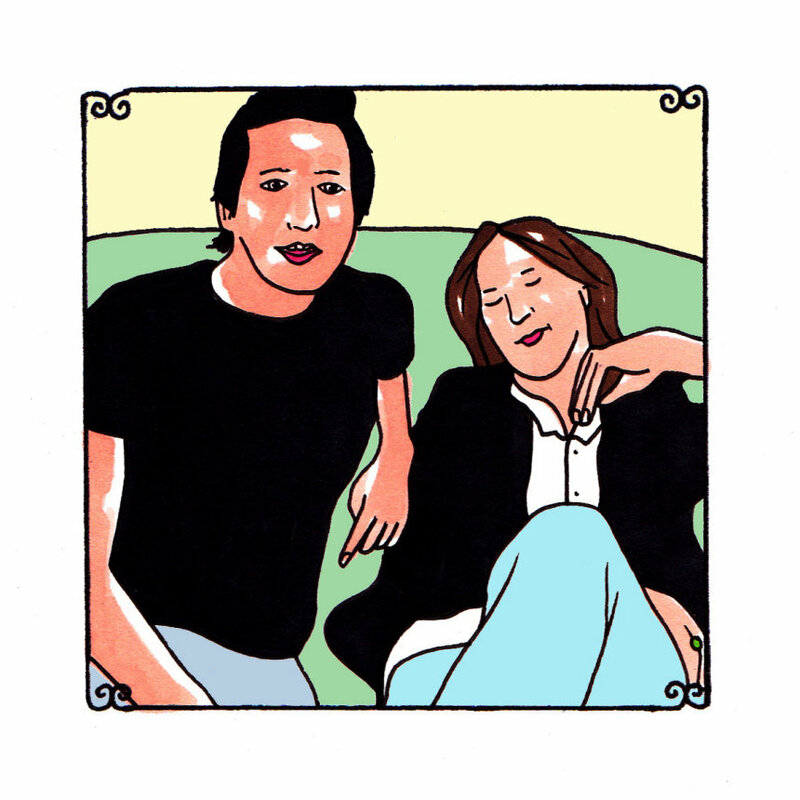 Whether we ever make the connection or not, the hoodrats and sad sacks in Craig Finn's songs share veins with the hoodrats and sad sacks in the great songs of Texan troubadour Alejandro Escovedo. The Hold Steady, as a band, have cultivated the reputation as the ultimate American bar band, beginning in Minnesota and then moving the operation to New York City - however, all along, Finn has done nothing but dig his teeth deeper into the fictional lives of his characters, all of whom are wickedly troubled and still righteous and stubbornly hopeful that some good will come out of this mess. Many of Finn's people, his lyrical posse, have held onto their convictions and still quote scripture (or think they're quoting scripture) and yet they've turned to the bottle and a mild dose of desperation to try and get through the bottoms and the drifts. They've lost some teeth and lost some hair, along with losing plenty of friends and alienating family as they continue what seems to be a never-ending search for inner peace and happiness. Escovedo, who has been dealt his unfair share of obstacles and sorrow, must identify with the misfits and the sour as all hell hearts that Finn finds to be richest for interpretation and extrapolation. Getting into the souls of the wayward flock is about as interesting as it gets for Escovedo too. Escovedo is interested in the kinds of stories that might eventually have a happy ending - it's what he's rooting for - but right now, these endings are stuck in purgatory and the principle people involved are up to their ears in damage and uncertainty. They are hurting and are filled with a darkness that stretches as far as the eye can see. Escovedo, as an overseeing narrator/friend, is trying his damnedest to make a difference, wishing for the best and doing what he can to boost their spirits. His songs take us into the mellow centers of these lives and he often sounds as if he's trying to slap his friends around, trying to throw buckets and buckets of ice-cold water on them, just to awaken them from their stupor. He seems to be qualified as someone who can tell another person to stop feeling sorry for themselves and to finish this thing out on a high note. "Down In The Bowery," is a prime example of a character sketch that brings us into the living room of a lost soul who has not smiled in an eternity. Escovedo offers to buy this friend a smile, but reconsiders the gesture as one that would go thankless and hence have little effect on his friend's mental constitution. He sings, "I hope you live long enough to forget half the stuff they taught you/…I want to see you out on the street, making a scene for everybody," wishing for time with his old friend, not this busted wreck that slumps before him, dejected and defeated. He sings elsewhere about the "poets on their barstools" who "just love it when it rains," and while Escovedo maintains a poet's itinerary and often sings about the rains, he's in no way one who derives pleasure from the rain and grimaces. He wouldn't flinch if all he saw were teeth, dimples and overwhelming sunlight. We dare to say that he'd prefer it. It appears to be - in a roundabout way - the life goal of his heart and tongue.